Keeping your heart healthy may be tricky, depending on how healthy your daily diet and exercise program are. 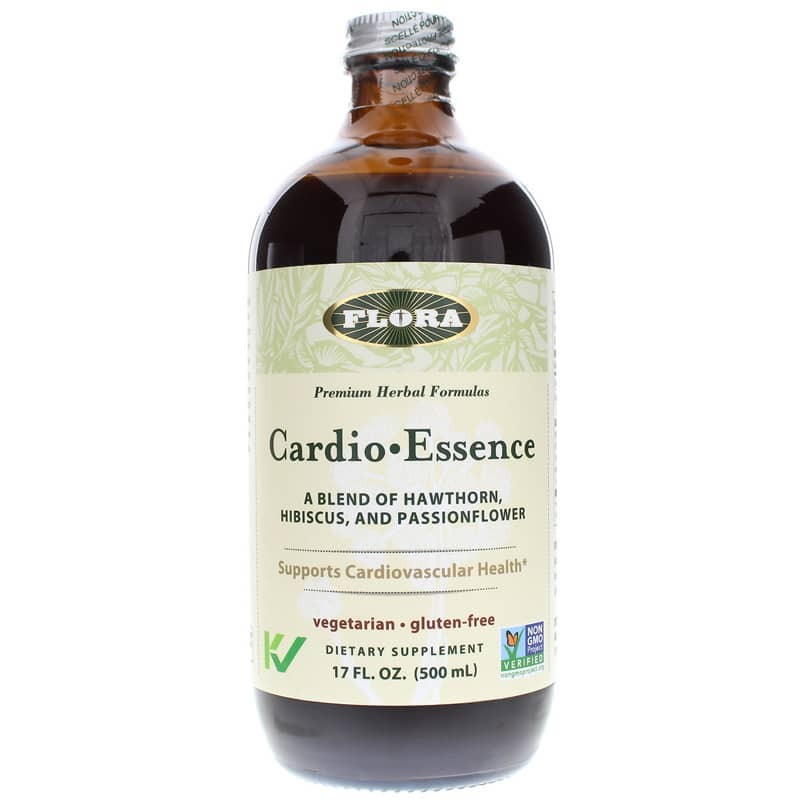 If you'd like a little extra all-natural support, Flora offers a product called Cardio Essence, a liquid herbal supplement that supports an overall healthier heart. The ingredients in Flora's Cardio Essence are meant to work synergistically. Hawthorn berries contain flavonoids and proanthocyanidins and blackstrap molasses delivers vitamins and minerals like magnesium and B vitamins. This product can be used long-term with no known side effects or toxicity. It's the ideal way to give your cardiovascular system extra support. Give it a try today and see the difference it may be able to make for you. Order now! Other Ingredients: filtered water, apple juice concentrate, blackstrap molasses, natural strawberry flavor, xanthan gum (thickening agent). Contains NO: gluten. Vegetarian. Kosher. 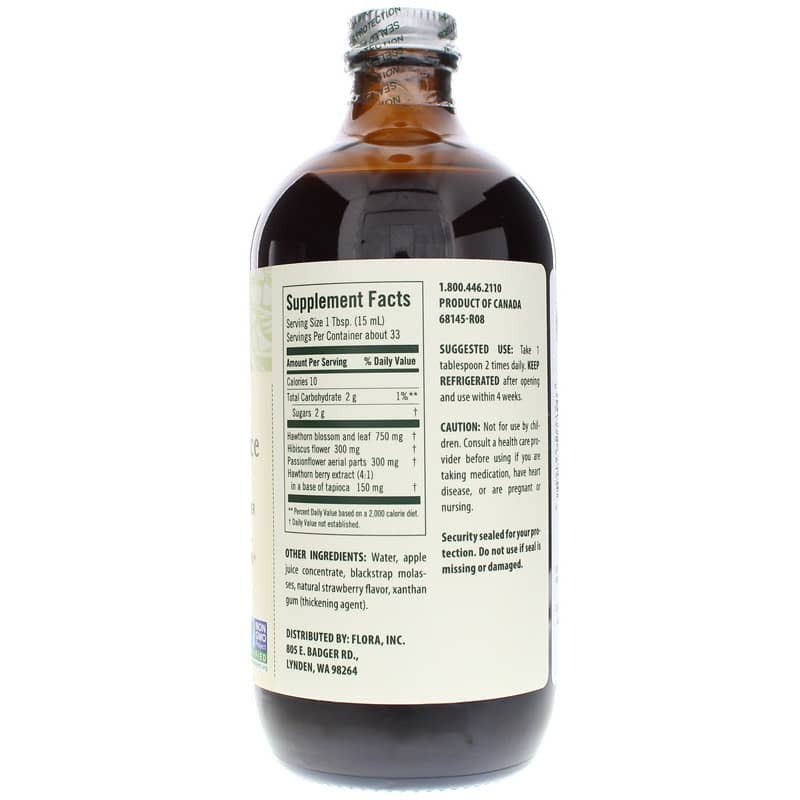 Adults: Take 1 tablespoon 2 times daily. Consume within 4 weeks after opening. Keep refrigerated after opening. Consult a healthcare practitioner if symptoms persist or worsen. Hawthorn Heart Formula is not a substitute for heart medication. Consult a healthcare practitioner prior to use if you are pregnant or nursing, or are taking cardiac glycosides such as digitalis/digoxin, or blood pressure medication. Keep out of reach of children. 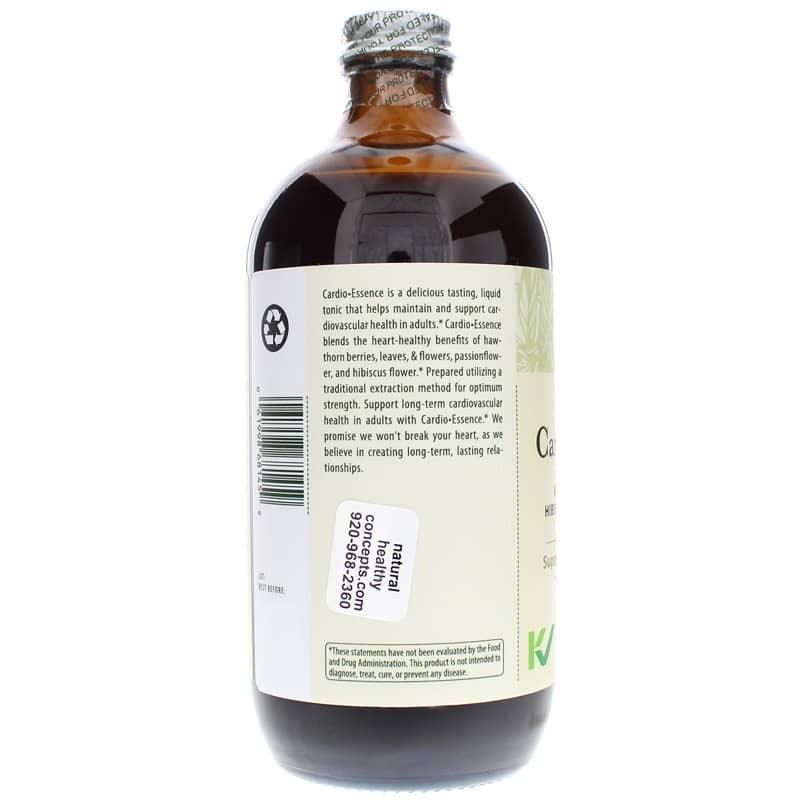 Do not contaminate the formula by drinking directly from the bottle.